For 2009, the BMW 650i is available with a new Sport Package that includes a redesigned hood and a revised exhaust system with chrome tailpipes. The BMW M6 carries over to 2009 unchanged. 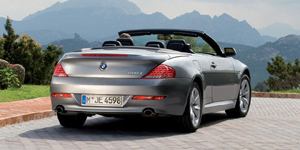 Find the used BMW 6-Series of your choice from a dealer in your area. Search our used car listings now.